“This was filmed between 4th and 11th April 2011. I had the pleasure of visiting El Teide. Spain´s highest mountain @(3718m) is one of the best places in the world to photograph the stars and is also the location of Teide Observatories, considered to be one of the world´s best observatories.”… Read the rest! 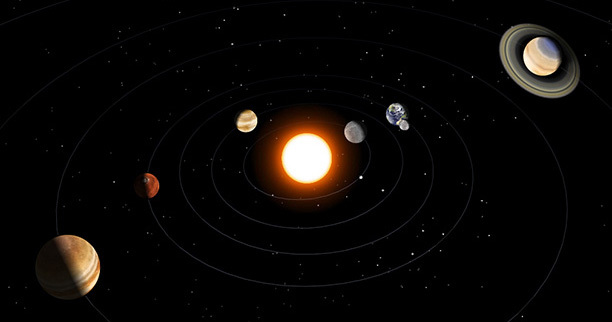 Check out the best tool we know of for exploring our solar system virtually. Each celestial object has its own detailed view accompanied by facts and figures, and you can adjust the planet size and distance from its schematic scaling to a true-in-size-and-distance view for a more accurate perspective. This image comes from a very deep Chandra observation of the Tycho supernova remnant, produced by the explosion of a white dwarf star in our Galaxy. Low-energy X-rays (red) in the image show expanding debris from the supernova explosion and high energy X-rays (blue) show the blast wave, a shell of extremely energetic electrons . Thanks, Chandra the X-Ray Observatory! 2009 Composite: http://chandra.harvard.edu/photo/2009/tycho/… Read the rest!